As we welcome Malaysia’s new government, Dego welcomes the reception of the new Transport Minister and his views. I respect his view and his position on the matter. And similar to the views of the previous Transport Minister and his Deputy shared in February 2017. We totally agree to both Transport Ministers and their team of esteemed advisors that the number of accidents and other social issues related to motorcycles in Malaysia. However, we at Dego have never given up on our social economic mission to provide ample support and income opportunities to our target segments. We’ve recently compiled a list of positive outcomes with our multi-pronged initiatives which will be shared with everyone soon. Economic factors account to less than 10% of the positives in our research of building up the list. We’re glad and happy that a large number of Malaysians nationwide have agreed to continuously support our causes and initiatives. Keep it up. Your spirits or what we call “semangat” are what makes us uniquely Malaysian. 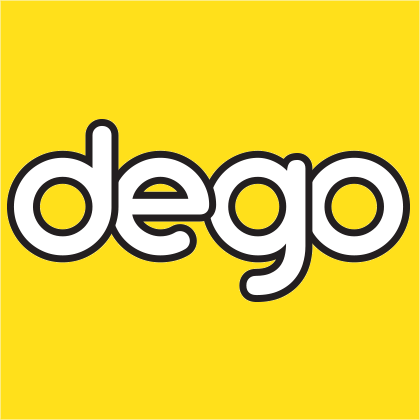 Ride on and always remember to be safe Dego Partners! Hai. How to register. I’m from Johor. Service available in Johor? Saya nak tanya berkenaan surat kebenaran. Boleh jelaskan surat kebenaran apa? Terima kasih atas pertanyaan En Abd Jalil. Surat kebenaran hanya diperlukan utk pihak yang tidak memeliki kenderaan tersendiri utk menjalankan perkhidmatan Dego. Surat kebenaran itu perlu disediakan oleh pemilik kenderaan memberi izin kepada pihak yang menggunakan kenderaan utk menjalankan perkhidmatan khusus bersama Dego. Super form is a new form that combines Form 6, Form 48A, and M&A of any company registered in 2016 onwards. You may get a copy of this via the SSM portal website. However alternatively you can provide a copy of of Form 9 if your company is registered before 2016.